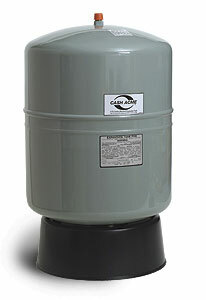 TV Series Floor Standing Expansion Tank For Heating Systems Sturdy corrosion resistant base. Welded construction ensures long and reliable service. Heavy duty SBR diaphragm and epoxy paint finish. All models factory pre-charged to 12 psi. Applications: Large heating systems to absorb the increased hot water volume due to expansion.